FHA loans are popular option for first time home buyers. They offer a slew of benefits, and make home buying affordable for many aspiring homeowners. While they certainly have a wide range of benefits, it’s also important to understand the drawbacks of an FHA loan. 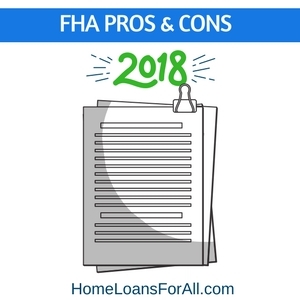 Having a good view of the both the pros and cons of FHA loans helps home buyers make informed decisions that are best for their situation. 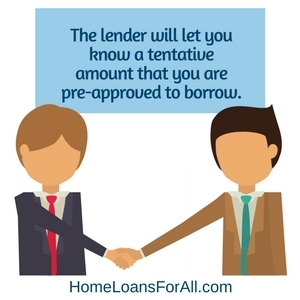 Get Pre Qualified For A FHA Loan Today – Click Here. FHA loans are government guaranteed loans that help first time and low to moderate income buyers afford a home. It’s important to note that the loans are only guaranteed by the FHA, the loans themselves are actually supplied by approved 3rd party lenders. Due to their lessen down payment requirements, FHA loans are great for first time home buyers who lack equity, as well as low to moderate income buyers who might have trouble saving a down payment. They’re also excellent for those with low credit as the guarantee from the FHA helps offset some of the risk for the lender. Overall, they make a great option for those who might have trouble securing a traditional mortgage. Probably the most well known benefits of the FHA loan is the lower down payment required to secure one. While conventional loans typically a minimum down payment of 20%, FHA loans require as little as 3.5%. Due to the backing of the FHA, some of the loan is already guaranteed in the case of a default, which allows the lender to accept less of a down payment. While conventional loans typically need great credit to acquire, FHA has a very minimal qualification criteria. A FHA loan with a 3.5% down payment only requires a 580 credit score. In many cases, even a score as low as 520 is considered, although then the buyer is required to offer a down payment of up to 10% to offset the additional risk. For rebuilding credit, FHA loans are an excellent option. In addition to the lower credit score, the other requirements for a securing a mortgage are typically bit more lax. For example, using an FHA loan the recommended debt to income ratio is 43%, but loans can be approve for a bit more under certain conditions. This leeway is provided by the FHA backing and can help buyers afford more home. An FHA is assumable meaning it can be taken over by a future buyer. This can be fantastic for buyers if the interest rates rise, and the current FHA loan is locked into a lower interest rate. This is a long term benefit, and can come into play if the home ever goes up for sale. FHA loans also typically enjoy a lower interest rate than conventional loans. This saves the borrower thousands over the course of the loan, and a fixed rate offering means the buyer can lock in a low rate for the life of the loan. Unknown to many, you can actually use a FHA loan to improve your home or make major renovations to a new one. This type of loan is called a FHA 203k loan, and provides a way to rehab homes that you plan to live in after. The process is a bit more involved, but is a great option for those looking for a fixer-upper. With an FHA loan, there is a limit to how much you’re allowed to borrow. This number is based on the home prices in an area, and can be higher for super expensive areas like certain areas of Hawaii. If looking for a home outside of this range, the buyer will typically need to come to the table with a down payment to offset the difference. 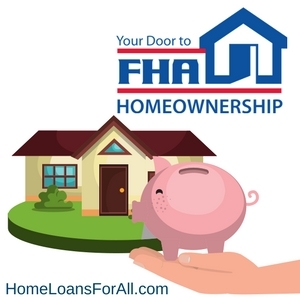 All FHA loans have a funding fee which is money paid to run the program. This is due at closing, and is typically a couple percent of the total loan amount. This adds an additional amount due to normal closing costs which can add several thousand to the purchase price. Due to the low down payment allowed with FHA loans lenders will require that the borrower have mortgage insurance. This protects the lender in case of a default for low down payment loans. Typically, this ranges between 0.5% and 1% of the total price of the loan on an annual basis. This also lasts for the lifetime of the loan, buyers will have to refinance to get out from under it. Not all lenders are approved to provide FHA loans. In order to acquire a FHA backed loan the borrower must work with an approved lender. Sometimes you have to find a state specific lender. Read more about it at our Pennsylvania FHA loans article. 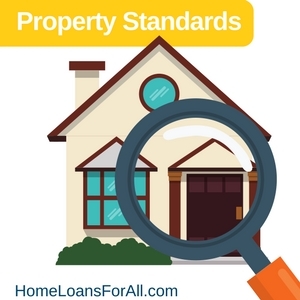 All properties purchased using a FHA loan must meet minimum standards of hability. This means that a licensed inspector will be required to sign off on the property, and that it doesn’t have any major issues affect its occupancy. This can not only add time to the mortgage process, but if the property fails to meet standards can prevent the deal from going through. Property must satisfy minimum standards of habitability. While FHA loans are certainly attractive, it’s important to understand the cons of the loan as well. By looking at the big picture of the FHA loan, a potential borrower can make an informed decision, and determine if the FHA loan is right for them. 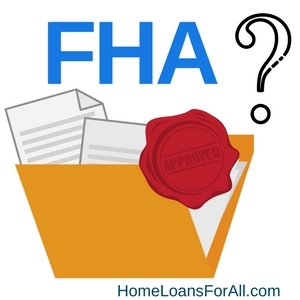 What is an FHA Mortgage and What are The Advantages? An FHA mortgage is a mortgage loan that is partially guaranteed by the FHA but provided by a 3rd party lender. The FHA backing gives the loan several advantages such as a lower down payment, reduced interest rates, and less strict requirements then compared to a conventional mortgage. What is The Downside of a FHA Loan? The major downside is the necessity of mortgage insurance on all FHA loans, and the need to refinance at a later date to remove it. Outside of that, buyers also have the funding fee and home inspections to worry about. Is it Better To Have a Conventional Loan or a FHA Loan? Which is “better” is entirely subjective and depends on the circumstances. In general, if a buyer can afford the 20% down payment than a conventional mortgage is a good choice to remove the need for mortgage insurance. For those that can’t, the FHA loan caters direct to them by provide a low down payment option to home buying. Looking for FHA loans and other bad credit home loans in Indianapolis? We can help! 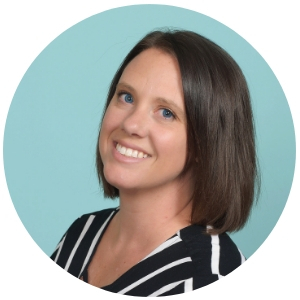 Leslie Rowberry is a Mortgage Loan Assistant and Real Estate Agent with over 14 years of education and 12 years of experience in various sectors of the industry. She is an expert in helping people buy, sell, or rent property, as well as having an in-depth understanding of credit, the different loan products offered in the United States of America, and all other aspects of the home buying process.